There are several methods for plastic dip coating that include: hot dip coating in a fluidized bed of polymer powder, hot dip coating a product in a vinyl plastisol, and spraying polymer powder on a heated product. The method that is used usually depends on the needs of the product being created or the metal being treated. For hot dip coating in a fluidized bed of polymer powder, the metal is thoroughly cleaned and then placed in an oven where it is heated to a high temperature. This heat melts the polymer powder, bonding it to the metal surface when it is dipped in the fluidized bed. The metal polymer adheres to the surface and the metal is given time to cool, leaving it evenly coated with a smooth plastic finish. Hot dip coating in vinyl plastisol is a very similar process, except the object is dipped in liquid that contains PVC particles. After drying, the material needs time to cure on the metal to ensure that it adheres properly. The third plastic dip coating method is spraying polymer powder onto a heated product. This is also known as flock spraying. Since some objects are just too large to be coated by dipping them, a spray is used because it is more practical. The part is still heated so that the spray melts and adheres to it on contact. The product must be reheated if there is any partially melted spray left at the end of the process. The process can be completed several times to add layers of protection to the metal. 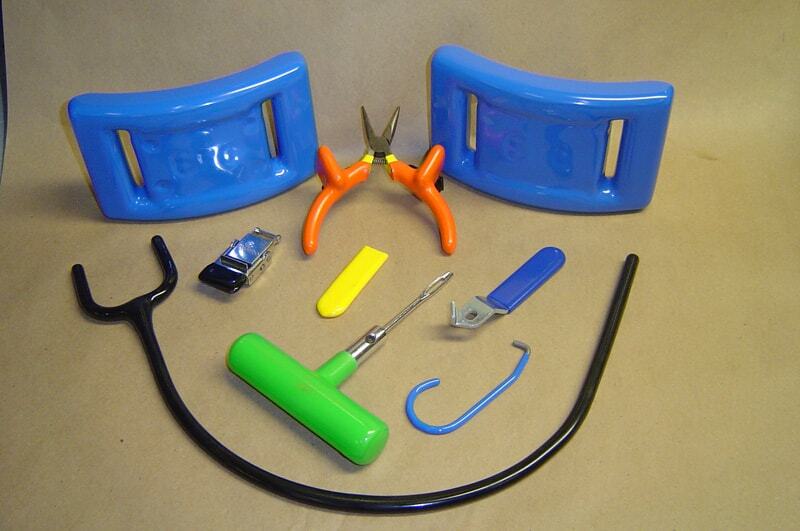 Dip coating applications include hand tools, toys, medical instruments, electrical equipment and plumbing fittings. A plastic coating that adheres directly to the metal can significantly improve the lifespan of a product by providing airtight protection from corrosion. Plastic Dip Coaters Plastic dip coating covers metals with a thick, wear-resistant plastic finish that protects the surface of the metal from moisture and air to prevent corrosion. 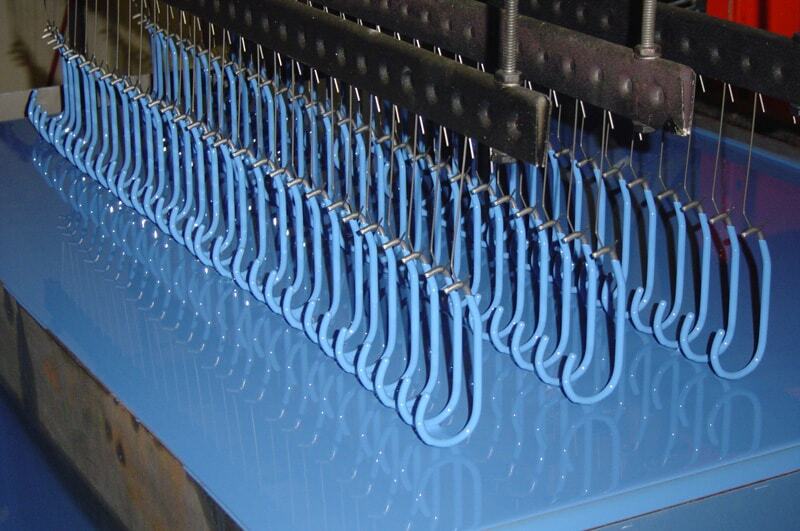 A metal part or piece of equipment is dipped in a plastic solution and then removed for an even coating.